Fraud: By becoming a member, you confirm that the information provided in this form is true and that you agree to abide by the Terms and Conditions of use of this site. Please note that your membership can be canceled without notice if it is determined that false or misleading information has been provided, the Terms and Conditions of use have been violated, or other abuses have occurred as determined by Innovative Ionizing Technologies Inc. in its sole discretion. If membership has been revoked, Innovative Ionizing Technologies Inc. reserves the right to refuse application or readmission to the membership program. Payments. You represent and warrant that if you are purchasing something from us or from our Merchants that (i) any credit card information you supply is true, correct and complete, (i) charges incurred by you will be honored by your credit card company, and (iii) you will pay the charges incurred by you at the posted prices, including any shipping fees and applicable taxes. If you open a charge-back through your credit card or any other similar disputes against a payment made to us you are liable to immediately repay the full amount plus an additional $40 fee. Failure to immediately repay will result in 2% per month compounded interest that will be charged until the full amount + $40 fee is paid, in addition any costs of collection will be added to your amount owing. 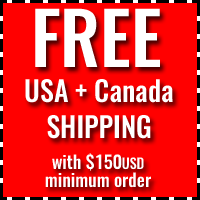 By placing an order over our site or over the phone you agree to these terms. Return Policy. If you are not fully satisfied with your purchase you can return it within 30 days after receiving it. If you product is found to be damaged or defective we will replace it within 60 days. The customer is responsible for any shipping fees in the case of returns. Venue; Applicable Law. YOU AGREE THAT ALL ACTIONS OR PROCEEDINGS ARISING DIRECTLY OR INDIRECTLY OUT OF THIS AGREEMENT, OR YOUR USE OF THE SITE OR ANY SAMPLES OR PRODUCTS OBTAINED BY YOU THROUGH SUCH USE, SHALL BE LITIGATED IN THE CIRCUIT COURT OF CANADA, BRITISH COLUMBIA. YOU ARE EXPRESSLY SUBMITTING AND CONSENTING IN ADVANCE TO SUCH JURISDICTION IN ANY ACTION OR PROCEEDING IN ANY OF SUCH COURTS, AND ARE WAIVING ANY CLAIM THAT SURREY,BRITISH COLUMBIA IS AN INCONVENIENT FORUM OR AN IMPROPER FORUM BASED ON LACK OF VENUE. This site is created and controlled by INNOVATIVE IONIZING TECHNOLOGIES INC. a wholey owned subsidiary of INNOVATIVE IONIZING TECHNOLOGIES INC. in the province of BRITISH COLUMBIA, CANADA. As such, the laws of BRITISH COLUMBIA will govern the terms and conditions contained in this Agreement and elsewhere throughout the Site, without giving effect to any principles of conflicts of laws. Lapsed Accounts: In order to keep INNOVATIVE IONIZING TECHNOLOGIES INC. membership roster current, if a Member does not access his or her account for a period of 120 days or more, INNOVATIVE IONIZING TECHNOLOGIES INC. may, in its sole discretion, terminate such Member's account. INNOVATIVE IONIZING TECHNOLOGIES INC. will endeavor to notify a Member of INNOVATIVE IONIZING TECHNOLOGIES INC. intent to terminate such Member's account by notice to such Member's provided email address at least 14 days prior to deactivation. If the Member fails to respond to such email notice with 14 days after the day it is sent by INNOVATIVE IONIZING TECHNOLOGIES INC. , such Member's account will be terminated as noted above. Therefore, INNOVATIVE IONIZING TECHNOLOGIES INC.strongly recommends that all Members keep their accounts and contact data current and in use. While INNOVATIVE IONIZING TECHNOLOGIES INC. desires to prevent active accounts from being terminated prematurely, “INNOVATIVE IONIZING TECHNOLOGIES INC.has no obligation to maintain accounts that appear to INNOVATIVE IONIZING TECHNOLOGIES INC. to have been abandoned. Each Member agrees that failure to access his or her account for INNOVATIVE IONIZING TECHNOLOGIES INC. days or more conclusively indicates that such Member's account has been abandoned and that the account may therefore be terminated. Verify Members' Address: “INNOVATIVE IONIZING TECHNOLOGIES INC. reserves the right to contact a Member via email to verify the accuracy of account information (including the Member's correct name and address) that is needed to provide the Member with the information he or she requested from INNOVATIVE IONIZING TECHNOLOGIES INC.